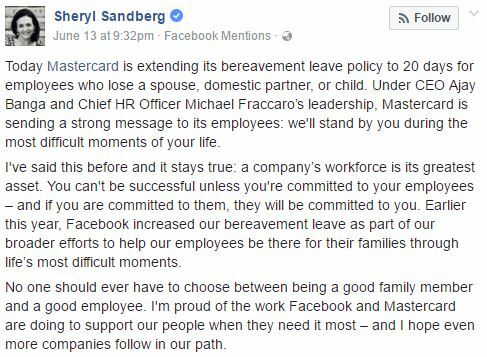 The credit card company, Matsercard has granted 20 days of bereavement leave to its employees globally. Mastercard, the credit card company has offered 20 days of bereavement leave to its employees globally who have lost a spouse, child or domestic partner. Along with providing leaves to grieve the loss, the company will also provide support to its employees through phone counseling or face to face counseling if required ensuring the emotional, legal and financial well- being of employees. Also, there would be employee-funded assistance for financial for medical emergencies with full medical coverage for 18 months. Reportedly, Mastercard got inspiration from Sheryl Sandberg’s move of extending its company's bereavement leave from 10 to 20 days. 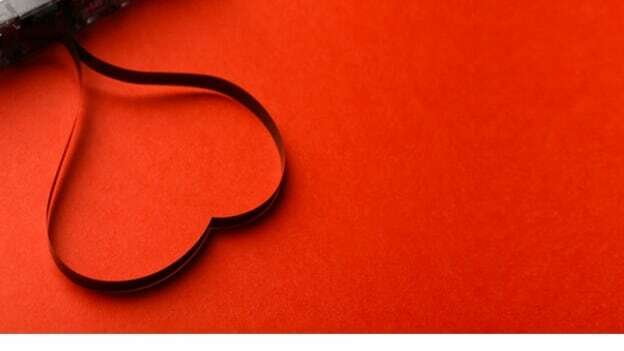 The Facebook COO extended the benefit in Facebook after experiencing herself loss of her husband two years ago. Sheryl Sandberg also shared on Facebook her views on the new development. She said - Mastercard is sending a strong message to its employees: we'll stand by you during the most difficult moments of your life. She appreciated CEO Ajay Banga and Chief HR Officer Michael Fraccaro’s leadership and said a company’s workforce is its greatest asset. She said - you can't be successful unless you're committed to your employees – and if you are committed to them, they will be committed to you. Some companies such as Mars, Inc., Salesforce, and Ben & Jerry’s also provide time off to employees to mourn the loss of their pets.